Chandos Twp. in historical PETERBOROUGH Co. Opened in 1862… in 1866 had only 57 ratepayers. Is mainly rock and lake. 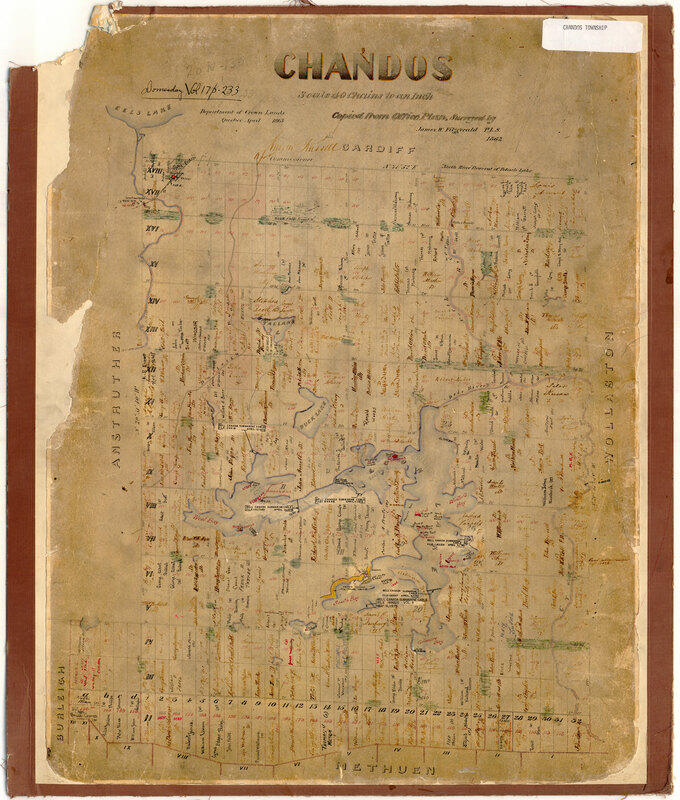 Chandos in the 1879 PETERBOROUGH Co., by Miles & Co.
M.N.R. Map for Chandos Twp.